So….You’ve written some songs and your mom has confirmed they are amazing; so, you realize it’s time for the rest of the world to hear your masterpieces. That means it’s time to record your songs. In this article we will look at some of the pros and cons of recording your album in a home studio and a professional studio. Of course, each situation, person, and studio is different and therefore they may have ‘pros and cons’ that are specific to them, but here we’ll look at the common things to consider among most situations between the two main options. Please make note that this article is being written for unsigned-Indie artists with little to no budget and/or very little understanding/experience with recording studios. A professional studio usually has its own location for business (i.e. not at a house), with staff who ideally it know how to do their job well when it comes to audio recording. Nevertheless, it’s important to note that “professional” studios can vary in level of professionalism, equipment, setups and cost. I think the title; ‘Professional Studio’ says it all. In other words, the biggest advantage to a professional studio is that——it’s Professional! This is the main reason why most recording artist would choose to use professional studios, because they want a professional sounding recording of their songs. Ideally, recording at a professional studio means that you will have access to people who know the tips, tricks and techniques to get your songs sounding great. They know the best way to record your killer 12sec guitar solo, and how to capture the punch of that awesome-but-slightly-used snare drum you bought at the flea market. Yes, they can even ‘fix’ those flat vocal notes (within reason). Simply put, from mic-setups to recording, mixing and mastering techniques; the pros know how to get the job done right. Oooh! Look at all those blinking lights! Another huge benefit to a professional studio is the quantity and quality of equipment they offer. The higher-end the studio; the more top-of-the-line equipment you get to access. Some of the things a pro-studio can offer are: professional microphones, processors, compressors, limiters, EQs, effects, and so on. These things can make a huge difference in the sound quality of your recordings. It’s important to know that the quality and quantity of equipment easily reaches thousands to tens-of-thousands of dollars in value, and chances are the average indie-artist will not be able to afford to buy their own. Therefore, paying for a studio’s services gives you access without having to sell your house, car and Skippy-your pet dog. Speaking of equipment, it’s also worth mentioning that many professional studios offer guitars, amps, drums and pianos/keyboards that you can use for free. This can be a great benefit if you don’t want to lug your gear back and forth from the studio. At the end of the day, they offer a quantity and quality level of equipment that most home studio budgets can’t come close to touching. The biggest issue with a professional studio is easily the hourly rates. Now, I should point out that the prices vary from studio to studio. For a lower to mid-level studios, prices can range from $30-60/hr. Higher-level studios can reach over $100/hr. Then we take into consideration that an album can take anywhere from 50 to 300+hrs to completion. Needless to say, the costs can easily add up, even at $30/hr. As the saying goes, “Time is money” and that is certainly the case when paying by the hour at a studio. Unfortunately, most Indie-artists are working with very tight budgets. Therefore, there’s not much time to spend on ideas while recording at the studio. Whether you realize it or not, this can be a huge ‘con’ since recording allows a lot of opportunity for ideas and creativity. With the ability to do multi-tracking in any recording studio, it’s very common for artists to play around with ideas and concepts that might not otherwise be an option when playing their guitar at home alone. Simply put, recording ideas and concepts can alter your songs in a big way….for the better. So, not having that option because of hourly rates and small budgets could be keeping your songs from developing. A home recording studio is basically a recording studio in….well…..a home! Usually they’re converted single rooms, garages or basements. With the age of digital technology anyone can record music in the luxury of his or her own home. The idea of a ‘home recording studio’ was practically unheard of just a little over 20yrs ago. With the invention of DAT (digital audio tape) came the shift from recording in analog to digital. Before you knew it, accompanied with the boom of the computer-age, digital-audio-recording took off and it wasn’t long before software was developed specifically for digital recording on computers. That changed the game for audio recording, because not only does recording-software give seemingly endless possibilities with a simple click of a button but it’s also affordable! What does that mean for you? Well, anyone with a computer can record at home. There are a lot of options of recording-software purchases to choose from. They can range anywhere from $100 to $1,000. Wait.. what’s that?.. You don’t have any money? No problem, there are also recording-programs that you can download for Free! Nevertheless, make note, the software packages are priced at different ranges for a reason and you often get what you pay for. Therefore, if you’re looking to do some ‘real’ recording then you will need a suitable software package to meet those needs, especially if you don’t have any external gear to accompany the software. In that situation you’ll need a great all-in-one software package that’s also expandable. While the saying, ‘time is money’ is very true in a professional studio; that is not the case with a home studio. Recording at home allows you to take as much time as you want on your song(s). That’s a huge ‘pro’ for a recording artist because it allows you to try ideas and concepts without concern for time. This can also be a great way to develop song writing and composition to take them to the ‘next-level’. Another ‘plus’ worth mentioning is that a home studio allows for learning. It allows you to learn the process of recording, mixing and mastering songs. It allows you to experiment with mic placements, EQ’ing techniques, layering tracks, effects etc and how to blend everything together. Even if you plan on going to a professional recording studio, having some basic recording knowledge can be useful at any studio. If you think adding ‘attack time’ to your vocals means setting up a time to tackle the vocalist, then you’re probably not ready to record your ‘big-hit’ album on your own. Seriously though, a lack of knowledge in the recording process can be a massive problem when using a home studio to record your album. There’s a lot of work and technique involved in recording, mixing and mastering to get pro-quality audio sound. This won’t happen overnight; it takes a ton of reading, practice and plenty of trial-and-error. The problem is often that most people don’t realize the amount of audio ‘science’ behind recording. As a result they hit the record button, move some volume faders around and they think it sounds awesome. In truth it most likely sounds poor in quality but they are too biased towards their own work to be objective. So, if you’re new but determined to go-for-it, then do your homework, keep practicing, compare your recordings to professional work and find a couple people that will give you honest feedback. By the way: Incase you’re wondering; Attack Time in its simplest definition is referring to how fast a compressor or noise gate reacts. You will quickly learn that even great all-in-one recording software packages will not make your $10 Wal-Mart mic sound like a $1,000 microphone. As mentioned earlier, the equipment available at high-level professional studios are very expensive. So, while it is true that you can save a lot of money by getting good software and a bunch of plug-ins, there are some corners you won’t be able to cut without having negative consequences on your sound quality. If you can afford to go to a professional studio then do so. Unless you have pro-gear and know what you’re doing, chances are your album wont come out the way you want it. A professional can help you get the sound quality you want for your album and they will save you a lot of stressful nights. Again, there is a reason why they are called ‘professionals’. It’s also important that I touch on song writing here. No matter what studio you use, it won’t help much if your songs and/or abilities are no good. The right studio-software, engineers, producers etc can work wonders but there are limitations. There must be a good solid foundation to start with before an album is going to sound great. If junk goes in then junk will come out. 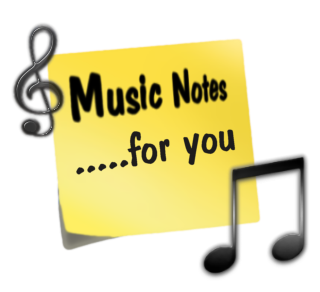 So, make sure you can actually write songs, play your instrument(s) and/or carry a note in key. Also, make sure you get honest and objective feedback from some people before putting out money for an album. The same can be said for the engineers and producers at these professional studios. No matter how much ‘awesome’ gear they offer, or how well your song is written, it won’t help much if they don’t have the ‘skillz-to-pay-the-billz’. There are plenty of so-called studios that are nothing more than someone that owns a lot of equipment but has little to no knowledge of audio recording. Therefore, make sure you get audio samples of their work, ask a lot of questions concerning how they would record your music, and don’t rush into anything; research your options and the quality of work each studio puts out for the hourly-rates they charge.